I recently came across this coming movie, and thought I’d share it with you. The Wildest Dream brings to the screen the last days of adventurer and Mount Everest climber George Mallory – the man who may or may not have been the first to scale the world’s most challenging peak. After disappearing 800 feet from the summit in 1924, Mallory’s body was never found – until present-day climber Conrad Anker discovered it, frozen and intact, 75 years later. 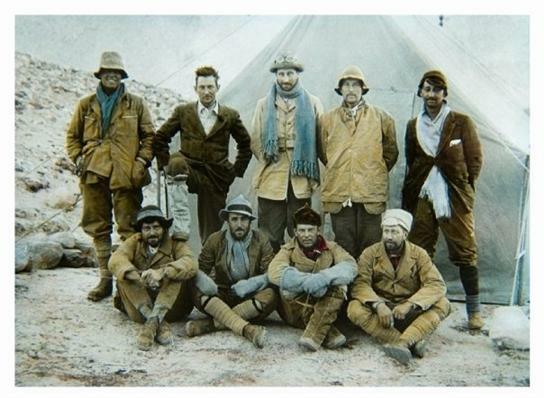 Linking the past with the present, The Wildest Dream recounts Anker’s efforts to scale Everest in precisely the same fashion as Mallory – with authentic equipment and clothing – to see if Mallory could indeed have made it to the top. Sifting through clues left by Mallory, some of which have only come to light with the discovery of his body, Anker and his team attempt to solve the mystery of Mallory’s death and grant to him the accolades that he may well be due. The Wildest Dream is narrated by esteemed actor Liam Neeson, accompanied by Natasha Richardson as the voice of Mallory’s wife Ruth and Ralph Fiennes as Mallory. 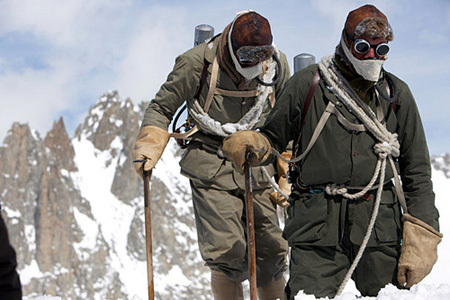 Never-before-seen archival footage combine with the spectacle and grandeur of present-day Everest on the world’s largest screen to portray an adventure — shrouded in mystery — that spans generations. This National Geographic Entertainment movie, slated to be released on August 2010 is starring, Liam Neeson, Natasha Richardson, Ralph Fiennes, Hugh Dancy, Alan Rickman.